Chan Eye Care, PLLC is your first source for primary eye care services in the Hampton Roads area and the rest of the Tidewater region. 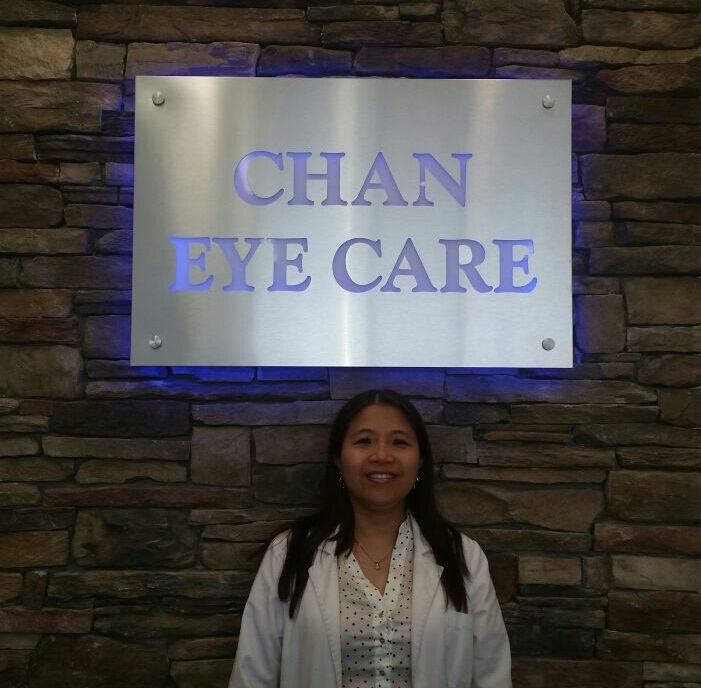 Since 2001, Dr. Zoee Chan-Perez has provided quality vision care products and personalized optometric services in Virginia Beach. Together with our highly qualified support staff, Dr. Chan-Perez caters to patients’ entire vision needs while offering superior customer service in a friendly and comfortable environment. Our mission at Chan Eye Care, PLLC is simple: to help you see the world better. We want you to experience all it has to offer, which is why we’re committed to providing the gold standard in family eye care and vision correction. We cater to a diverse and loyal clientele and believe in empowering patients to fully participate in their optometric health care. Because of this, we work hard to secure you and your family’s trust for a lifetime. Whether you visit us for a routine eye exam or to get new frames fitted, we’ll make sure you receive our high-level personal assistance and full, unrushed attention. We do our best to stay ahead of the curve when it comes to eye and vision care technology while striving to maintain the superior level of customer care we’ve provided since the beginning. Dr. Zoee Chan-Perez obtained her Doctor of Optometry degree in 2001 from New England College of Optometry in Boston, Massachusetts. She moved to Virginia Beach after graduation and worked at Pearle Vision and LensCrafters for 16 years. In March 2017, she opened a private practice where she can focus on primary eye care, including diagnosis and treatment of ocular diseases such as cataracts, glaucoma and macular degeneration. In her spare time, she enjoys cycling, swimming, tennis, playing table tennis with her family. Give your eyes the level of care and attention they deserve. Call (757) 430-8800 or fill out our contact form to request an appointment at the Chan Eye Care, PLLC vision center. Our office is located at 1925 Landstown Centre Way, Suite 250. We’re open six days a week for your convenience. Great new location and same wonderful eye doctor! I hated having to park way out in the Lynnhaven Mall parking lot and then walk so far for my appointments. But I did it because I liked Dr. Chan so much and she had been so highly recommended to me by family in the optical business. Very glad to see this new location open with parking right at the door. New office staff is extremely nice and helpful and Dr. Chan is always efficient, friendly, and accurate. An excellent place for eye care. I absolutely love Dr. Chan and her staff. I have never had any issues with being seen or with the length of time I had to wait before being called back. I have been going to her office for years and I highly recommend her for your eye care needs. As everyone else leaving their reviews, I can’t get my contact prescription which is highly insane. If you move locations then you need to make sure your patients are top priority in assisting their transition. I do not wish to spend more money for an eye exam when IVE HAD ONE ALREADY…I just want my information PLEASE!! !